For the fifth year in a row, Abilene’s very own professional bull fighter, Ethan McDonald, will be one of our bullfighters at the 2018 Wild Bill Hickok Rodeo! From raising bulls, to competing in bull riding to fighting bulls, Ethan has been around rodeos and bulls his entire life. When he is not on the road working as a bull fighter, Ethan helps his family with the bucking bulls they raise in Abilene, Kansas and works in the family business, Rawhide Portable Corral, selling livestock equipment. 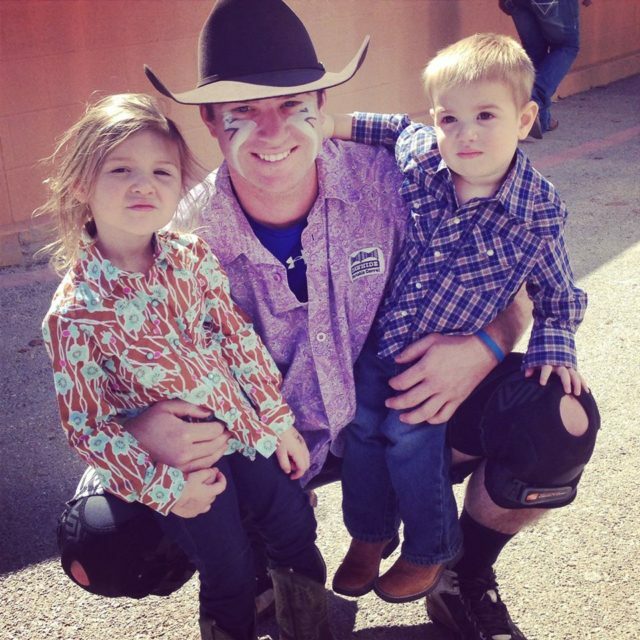 Pictured: Ethan McDonald pictured here with niece and nephew Hayden and Cooper Dallas. Previous article2018 Stock Contractor: Andrews Rodeo Company Inc.